Natures Menu Real Meaty treats are in huge demand right across the country as they are so easy to pop into your pocket for an odd treat when out walking, training or playing games. The whole range is wheat and gluten free, and is free from artificial colours and flavours. 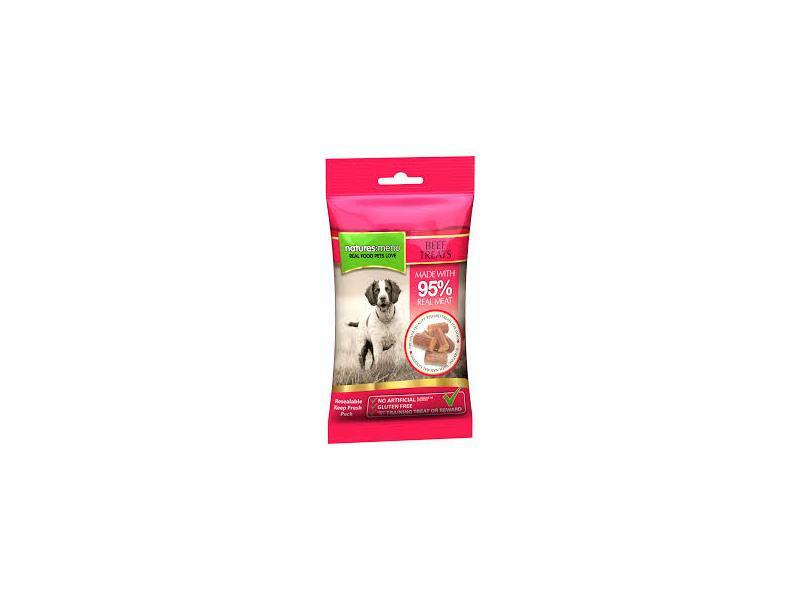 Pre-cut and easy to use in training toys or lessons as the smell is a real knockout for your dog. 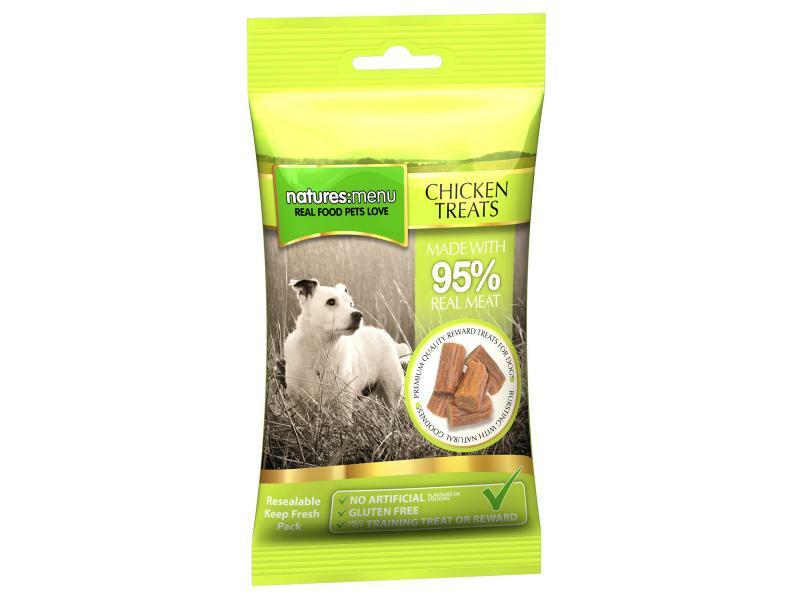 Natures Menu products are designed to deliver your pets’ requirements from naturally balanced raw materials. This means we don’t use the chemicals, additives or preservatives often found in over-processed pet foods. Meat and animal derivatives, (min 95% inc. min 50% beef), minerals and various sugars. Contains EC permitted preservatives & antioxidants. Meat and animal derivatives, (min 95% inc. min 50% chicken), minerals and various sugars. Contains EC permitted preservatives & antioxidants. Poultry (min 50%, including Chicken & Turkey), Lamb (min 25%), Pork (min 20%), Minerals. 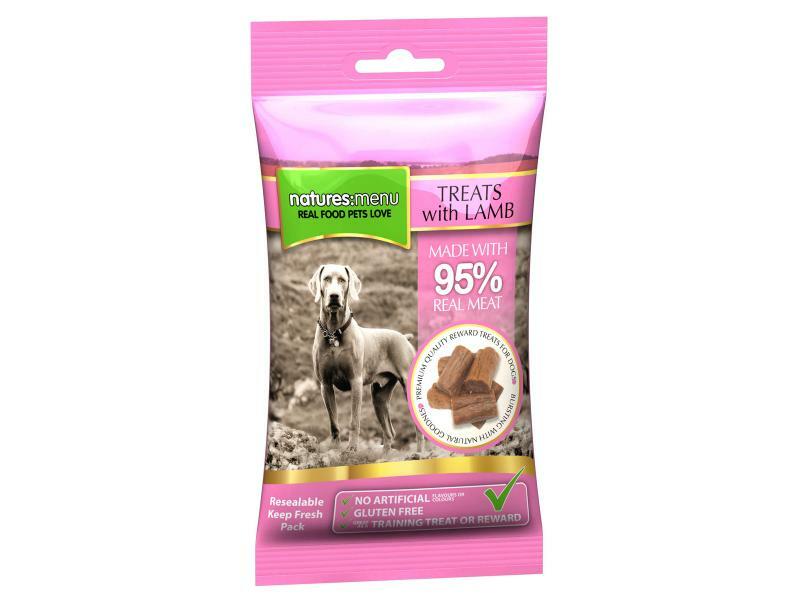 There are currently no questions for Natures Menu Real Meaty Dog Treats - be the first to ask one!